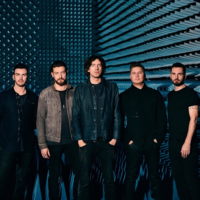 Snow Patrol are an alternative rock band from Bangor, County Down, Northern Ireland. Formed at the University of Dundee in 1994, the band is now based in Glasgow. The band's first three records, the EP Starfighter Pilot (1997), and the studio albums Songs for Polarbears (1998) and When It's All Over We Still Have to Clear Up (2001), were commercially unsuccessful and were released by the independent labels Electric Honey and Jeepster respectively. The band then signed on to the major record label Polydor Records in 2002. Snow Patrol rose to national fame with their major label debut, Final Straw, in 2003. The album was certified 5x platinum in the UK and eventually sold over 3 million copies worldwide. Their next studio album, Eyes Open, (2006) and its hit single "Chasing Cars", propelled the band to greater international fame. The album topped the UK Album Charts and was the best-selling British album of the year, selling over 6 million copies worldwide. In 2008, the band released their fifth studio album A Hundred Million Suns and in 2009 their first compilation album, Up to Now. During the course of their career, Snow Patrol have won five Meteor Ireland Music Awards and have been nominated for three BRIT Awards. Since the release of Final Straw, the band have sold over ten million albums worldwide.